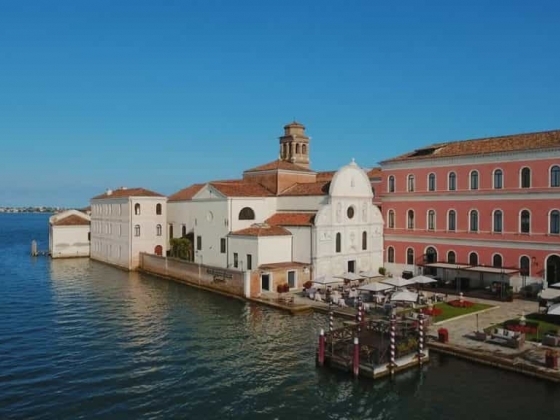 Located in the heart of the Venetian Lagoon, San Clemente Island is your private, luxurious retreat in Venice, just minutes away from St. Mark’s Square by boat. Crossing the historic waters of Venice is already a remarkable experience that gets you in the mood for an outstanding stay. As one approaches the island, the eye is caught by the impressive 12th-century church, a heritage from the monastic settlements that the island has housed in the past. 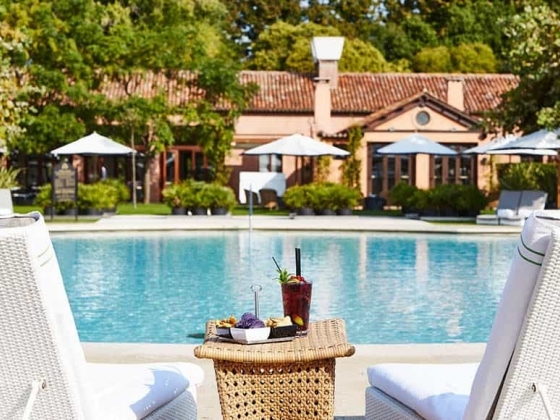 Surrounded by lush gardens and inner courtyards is San Clemente Palace Kempinski, a five-star luxury hotel located in a grand, historical building. 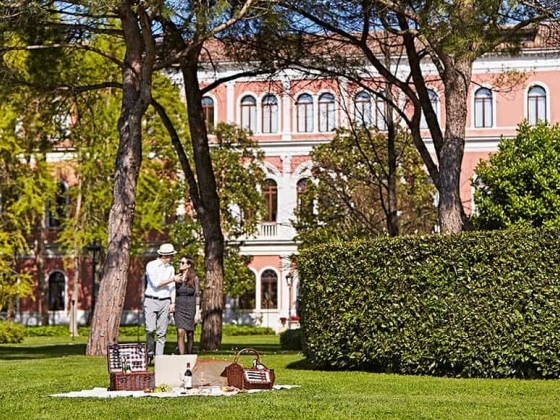 The hotel’s 190 rooms, including 61 suites, offer stunning views of Venice’s skyline and the lagoon, as well as the island’s centuries-old park and the courtyards. 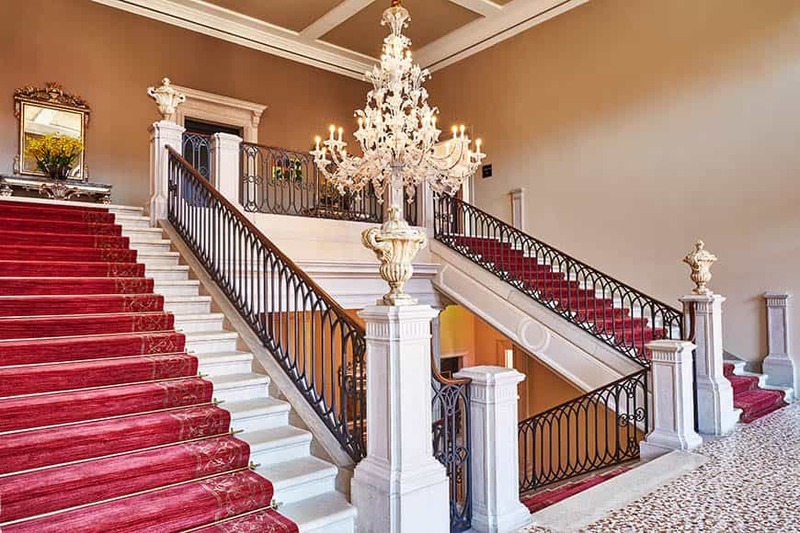 Their soft, luxurious interiors blend with classic Venetian-style furniture, traditional terrazzo floors, Murano-glass chandeliers and lights, fine wallpapers and Italian marble bathrooms. Visitors are welcomed by the enchanting impression of boarding a historical vessel and sailing past the gateway of “La Serenissima”. 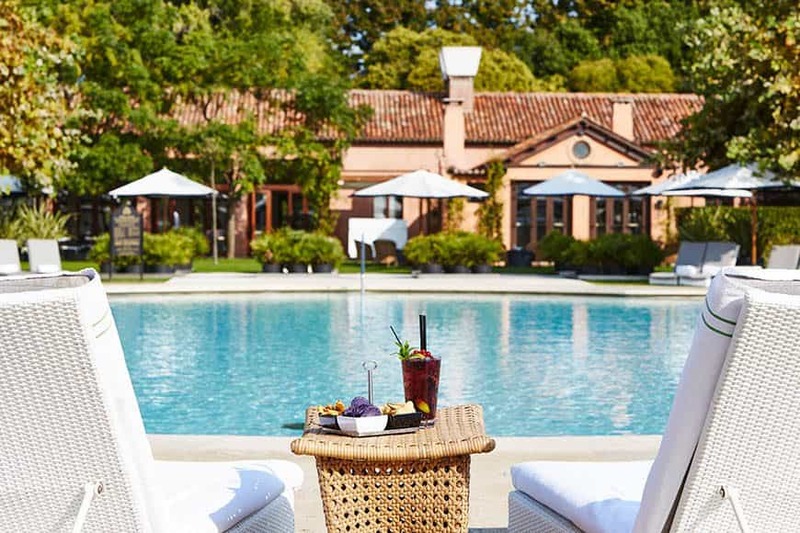 San Clemente Palace Kempinski provides leisure facilities one could only imagine. A spa and fitness room, an outdoor pool, a tennis court and a pitch and putt golf course make the private island a perfect location for total relaxation and action alike. Three restaurants and three bars serve culinary delights – perfectly in line with the traditions of Italian and Venetian cuisine. Getting married is about flying high – a special day dedicated to eternal love and intended to create memories that last for a lifetime. On San Clemente, there is a whole romantic island to make your dreams come true. Choosing to say “I do” at San Clemente Palace Kempinski is a unique and unforgettable experience: from the boat ride through the historic waters of the Venetian Lagoon, which takes you to a private pier right in front of the ancient church, to a sumptuous ceremony in the magical atmosphere of our centuries-old park, we will bring to life the wedding you have always dreamed of. 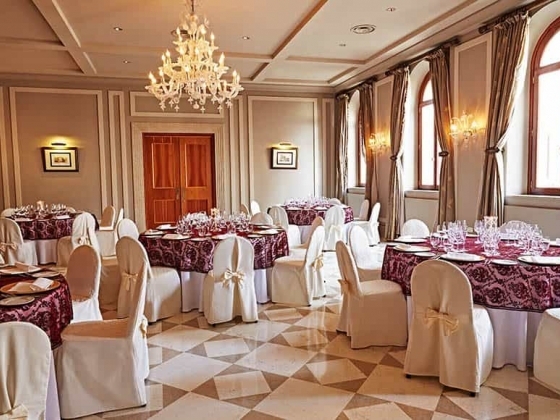 Whether you prefer an intimate ceremony with your dearest ones in the beautiful historic church, or a glamorous celebration in the idyll of the centuries-old park, San Clemente Palace Kempinski is the perfect backdrop for your special day. We ensure that every detail is impeccably tailored to your dreamed reception, from a cocktail with views of the Venetian skyline, to a glittering theme party for all of your friends, alongside a lively family dinner bringing together all of your dearest ones. The most memorable day of one’s life is supposed to be utter perfection and of utmost pleasure for the newlyweds. The careful seating arrangements, the culinary offerings, romantic decorations – there are countless things to think of. Our experienced coordinators will draw on their knowledge and the couple’s own ideas to create a flawless, unforgettable day. Embark on a journey in time with a ceremony in the historic church of San Clemente. The 12th-century church was built in Romanesque style and consisted of only a single cross-shaped nave. The façade was completely rebuilt in Lombard Renaissance style in the 15th century, with reliefs and statues added in 1652. In 1643, to fulfil a vow made during the plague epidemic that struck the city in 1630, Venetians funded the construction of a new chapel, modelled on the Santa Casa di Loreto (Holy House of Loreto), inside the San Clemente church where the main altar was. This “church in a church” is still a main feature of the edifice. The rich historical heritage of the building and the opportunity to set up and decorate the venue exactly as the wedding couple imagines make San Clemente Church the ideal setting for any ceremony with a traditional, romantic allure. A private dock ensures a dramatic arrival by boat for the couple, who is welcomed by their dearest ones at the Acquerello terrace before entering the church. Celebrating a dreamlike wedding in beautiful gardens – surrounded by the cypress, magnolia and pine trees of the centuries-old park – is a truly unforgettable experience. Nothing beats the natural setting of San Clemente Island with its gorgeous view of the Venetian Lagoon. There are a number of marvellous spots on the private island: couple just has to stroll around to find the perfect venue and let their imagination run wild to create their unique wedding. For intimate, truly romantic celebrations, there are also three hills overlooking the Lagoon: pronouncing “Yes, I do” with the stunning colours of the sunset and Venice skyline as a scenery is a breathtaking experience. 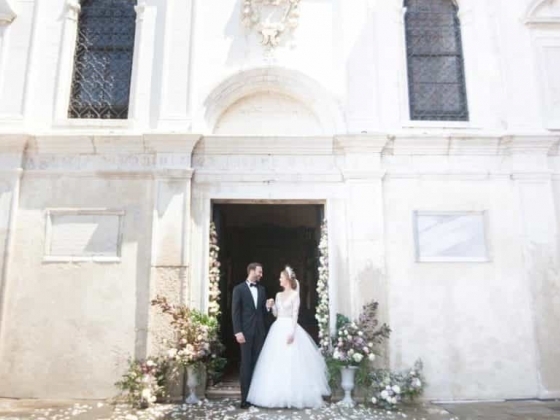 An exclusive location for the very special occasion: the sacristy of San Clemente Church, built in the 12th century and one of the oldest places of worship in Venice, is the ideal setting for an intimate, elegant wedding lunch or dinner. 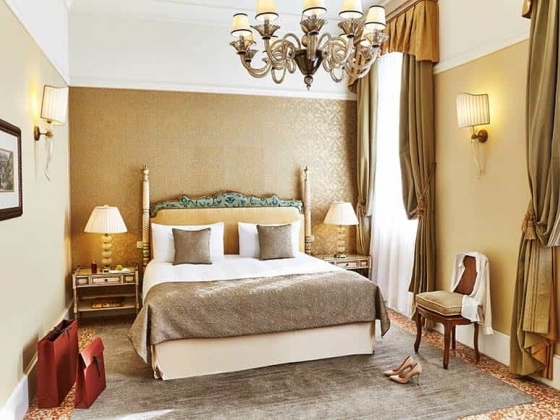 This is an unusual, amazing location, where the charm of history meets the luxurious service offered by San Clemente Palace Kempinski: the perfect combination for celebrating a special day with the closest loved ones. The sacristy opens onto a private courtyard, ideal for welcoming guests for a cocktail and the wedding cake cutting ceremony – an unforgettable experience of an unforgettable day. 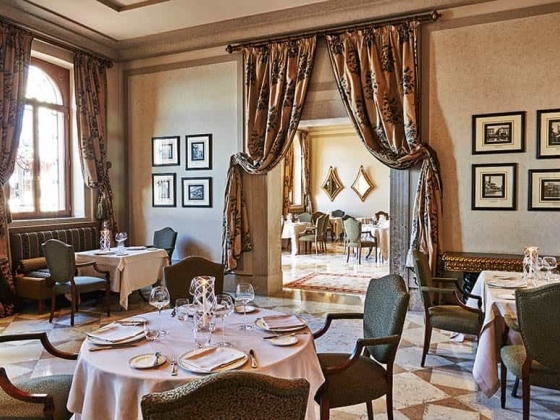 San Clemente Palace Kempinski gives multiple choices for indoor receptions: from the elegant dining rooms of Acquerello Restaurant and Insieme Restaurant to the Oriente Room, which, with its chinoiserie-style decor, recalls atmospheres of far-off countries. From a cocktail reception with views of the Venetian skyline to a glittering theme party, alongside a lively family dinner bringing together all of the dearest ones at one grand and perfectly decorated table, we ensure that every detail is perfectly tailored to any couple’s need. The hotel has also a large venue that can be set up as a ballroom and house up to 300 guests with room to dance the night away and a tent next to the pool. On San Clemente Island there are 4 hectares of lavish gardens for beautiful outdoor wedding receptions. The natural beauty of this romantic setting surrounded by a centuries-old park is more than enough to create the dreamed atmosphere, but the couple can also turn the reception space into a celebration that is all theirs: only imagination is the limit. A reminiscence of the ancient monastery, the hotel’s inner courtyards ensure privacy and intimacy for any wedding reception. The bride and groom can enjoy a very relaxed moment with their families and friends in their secluded retreat, set in the heart of the Venetian Lagoon. The stunning view of the Venice skyline, and in particular of the St. Mark’s bell tower, is the special, unique scenery for the exclusive reception at Acquerello Terrace, just in front of San Clemente Church. The former churchyard welcomes large wedding receptions for up to 300 guests, but it is also the perfect setting for private, glamorous cocktails and dinners, impossible to forget. Other Features: The Hotel offers endless indoor and outdoor possibilities for unforgettable weddings. 4ha of lush gardens and a historical 12th-century church where symbolic ceremonies can take place. Dining Options: Indulge in our three restaurants – Acquerello, La Dolce, Insieme - while tantalising your senses with exceptional interpretations of iconic Italian and Venetian specialities. Spa Because no two bodies are alike, customized therapies tend to the individual needs of each guest to promote vitality that radiates from the inside out. Allow us to guide you through all words of wellness. 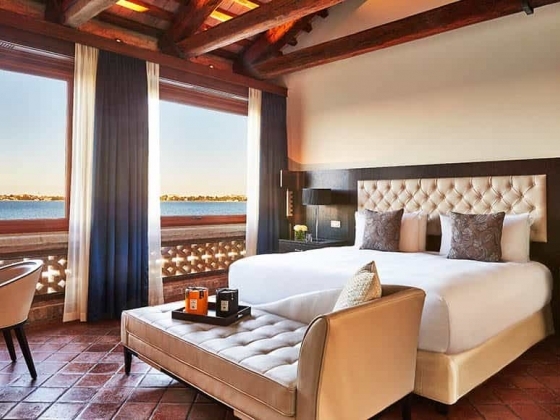 Drive your own boat to San Clemente Island and take advantage of the hotel services and other activities San Clemente Palace Kempinski has to offer. You can dock at the hotel's private dock while you stay. It is possible to moor a boat for a short period, water and power will be provided. Kindly book your dock in advance, providing your draft and boat size. I stayed here for 4 days in July 2017 for my honeymoon. I would definitely return here. The quality of service was excellent and the staff were extremely friendly. The shuttle services to the main island were always on time and very pleasant, offering complimentary water on board each journey. Our holiday was perfect!